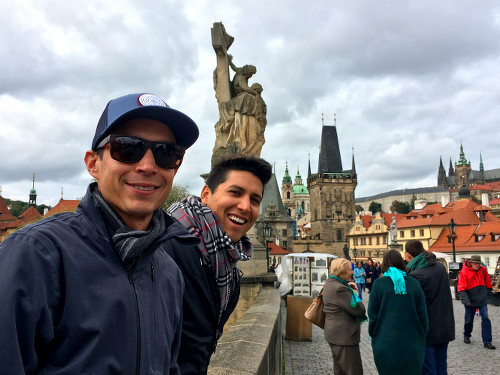 The beautiful city Prague is only a 4 hour drive away from our german hometown Würzburg. Jeremy’s best friend David from San Diego came to visit us in Germany and so we decided to spend the last weekend together in Prague, where we stayed at the amazing andel’s by Vienna House Prague! 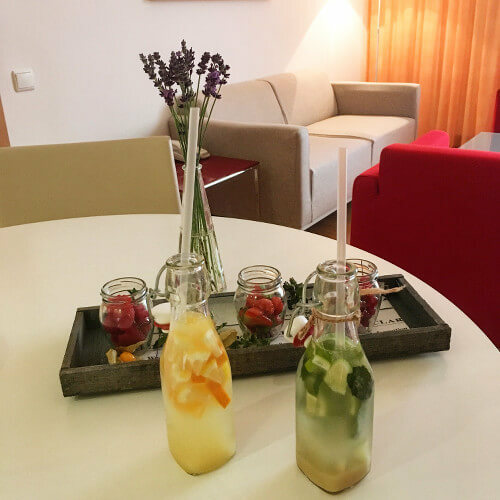 As we really love the angelo by Vienna House Munich Westpark we stayed at their andel’s by Vienna House Prague and had another really great and special experience with that hotel chain! The andel’s by Vienna House Prague was the first design hotel in Prague, which opened in 2002. And it is such a beautiful and modern hotel with so many things to do around that area. 1 minute walking distance is a great shopping mall with a big variety of all kind of stores. To see some of the best landmarks of Prague, you can either walk about 20 minutes or take the train, which is less than 1 minute walking distance from the hotel. We stayed for 2 nights in one of the beautiful apartments and we truely loved it. I was so sad to leave this amazing hotel! 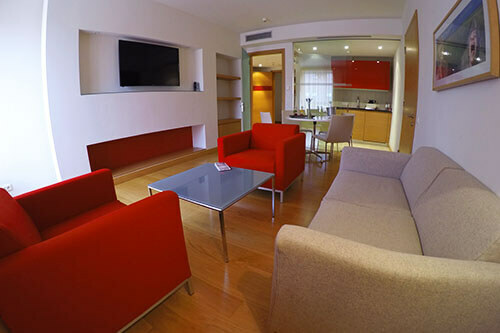 The whole hotel concept is so modern and cozy and the red furniture inspire me! The apartment has a huge living room with a kitchen, a really big bedroom with the super comfortable bed and a desk, as well as a nice and perfectly clean bathroom with an awesome rainshower! As I am writing this, I want to go back so bad haha! 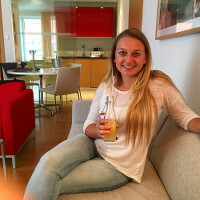 On the day we arrived, we found delicious welcome drinks with fresh fruits in our apartment. This was a really lovely and great surprise for us! I also love lavender flowers because they smell amazing! The whole atmosphere in the andel’s by Vienna House Prague was great. On every floor are cozy relax areas with couches and the lobby is a great spot to rest as well. 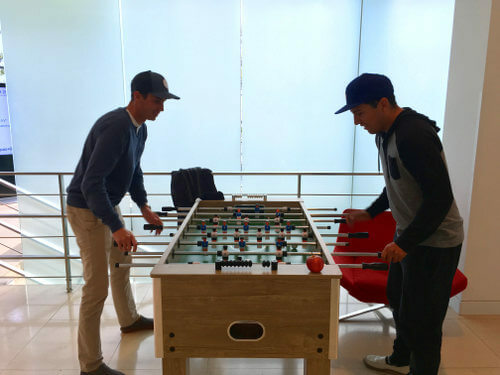 In front of the breakfast room was a table football game, which we really enjoyed as well. 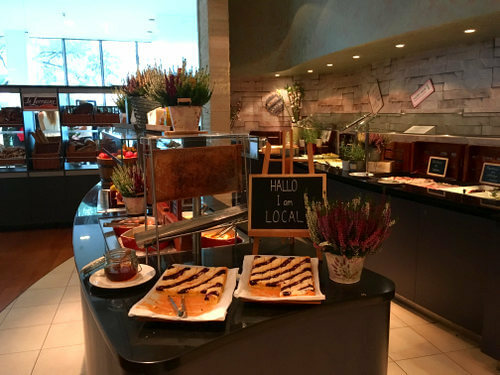 The breakfast buffet had a huge variety of delicious food and what we really liked is that they offer food from all over the world as well as traditional local snacks. There was an asian corner with misu soup and we could also try traditional deli meat from Czech Republik. I truely love the little things like you can see in the next photo, which shows the love for details. 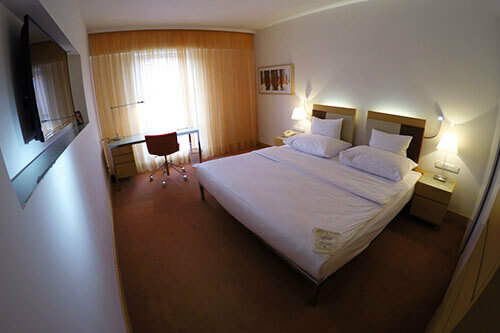 The andel’s by Vienna House Prague is really a great place to stay when you are visiting Prague! 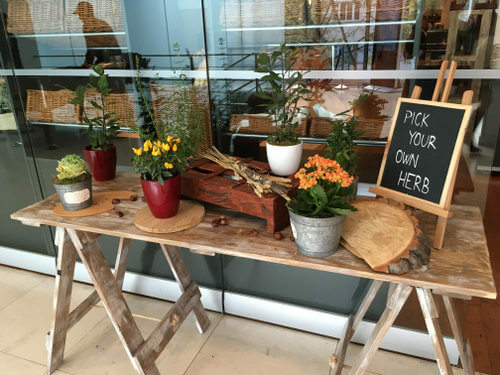 We love everything about the Hotel and can’t wait to come back soon! isn’t that cute? I love it!